type Mindfulness meditation. This will pull up numerous videos. 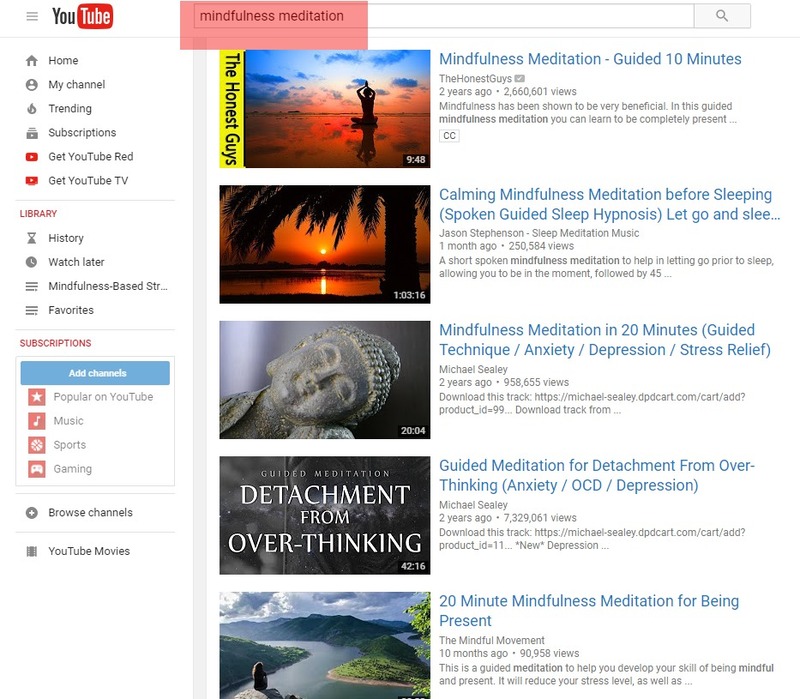 By adding just the word morning, you narrow the list to Morning skill specific videos. or ADDING JUST THE WORDs pain relief, YOU NARROW THE LIST TO those SKILL SPECIFIC VIDEOS.